"Steeped 16 hours in stainless steel wine tanks, free from oxygen, pressed and filtered twice..." I've had very little time this weekend to cook and style a recipe to post for you, so I hope you don't mind a post about the most amazing iced coffee I've ever tasted instead. 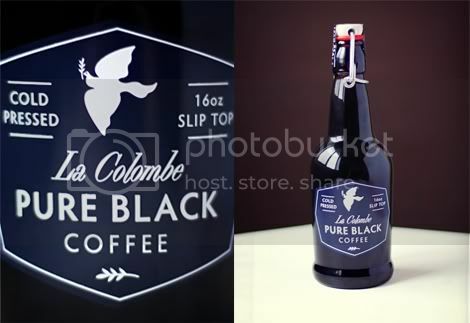 Yesterday I stumbled across the new slip-top-bottled Pure Black cold-pressed coffee from JP Iberti and Todd Carmichael of La Colombe at their SoHo, NYC location. If you read the back label, Pure Black promises to be a celebration of the culinary flavors of Corsica — sweet cocoa and smokey goodness. It more than delivers. The bottle is beautiful on it's own, and you can save it (like I will, to de-label and use as a rustic photo shoot prop), or return it for a 75¢ deposit. The coffee is smooth and strong but not bitter. You don't need sugar or cream; just open, pour over ice... 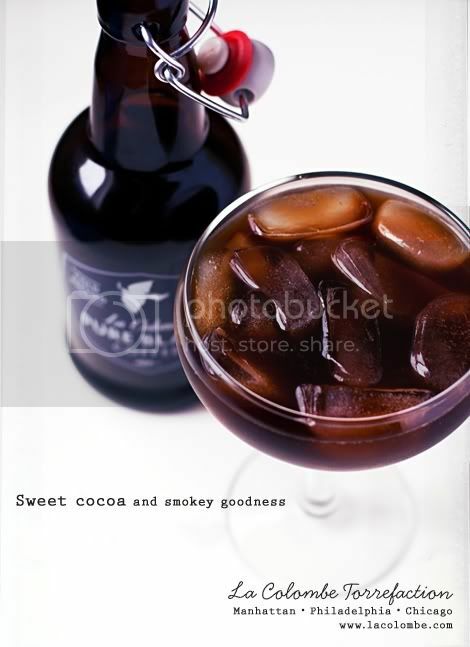 Instant, better than perfect, iced coffee. Originally a Philadelphia (my hometown) venture, La Colombe is expanding in NYC, with locations in Tribeca and SoHo, and coming soon to NoHo. The high-quality coffee is roasted in Philly and served in their own cafes, as well as some of the best restaurants in New York (Daniel, Four Seasons, Waldorf Astoria, Le Bernardin). I've walked past the SoHo location often but hadn't stopped in until yesterday. Now I can't wait to go back. With Goodwill projects, high ethics, high standards, and an amazing roster of coffees, I'm happy to try more of La Colombe's offerings. 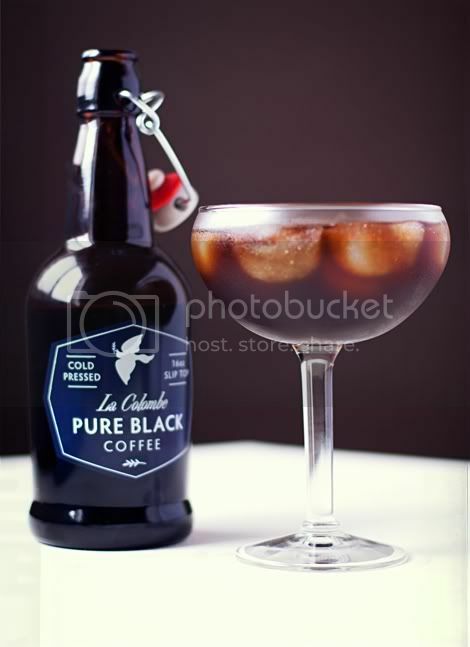 And though summer is almost over, at $5 per 16-ounce bottle, I'm also happy to stock up on Pure Black to carry me through as many hot days as we have left before fall arrives. Photography, styling and design by Alyssa; photographs ©2011 Alyssa Yeager. Hey Alyssa, this looks great. I need to pick up a bottle ASAP! Totally pick some up, it's pretty awesome.